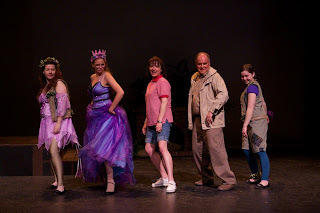 I was fortunate to be able to go and photograph the dress rehearsal of King fisher Days. It is a great play, with a small 5 person cast, about a girl and her child hood memories during a summer vaction at a lake. Please make sure that you go and check it out at the North Peace Cultural Centre on April 29, 30, May 5, 6, 7, 2011. Check out some of the images here.